Show-goers are invited to stop by 3A Composites’ Booth No. 3017 to learn more about creating high-performing signage – for installation both indoors and out – with Gator graphic display boards. Gatorfoam is a unique, one-of-a-kind graphic display board that consists of polystyrene foam bonded between two layers of a proprietary wood-fiber veneer laminate. This unique construction makes this substrate rigid yet lightweight and warp-resistant; its surface also is exceptionally smooth and strong, offering superior dent-resistance and scratch-resistance. 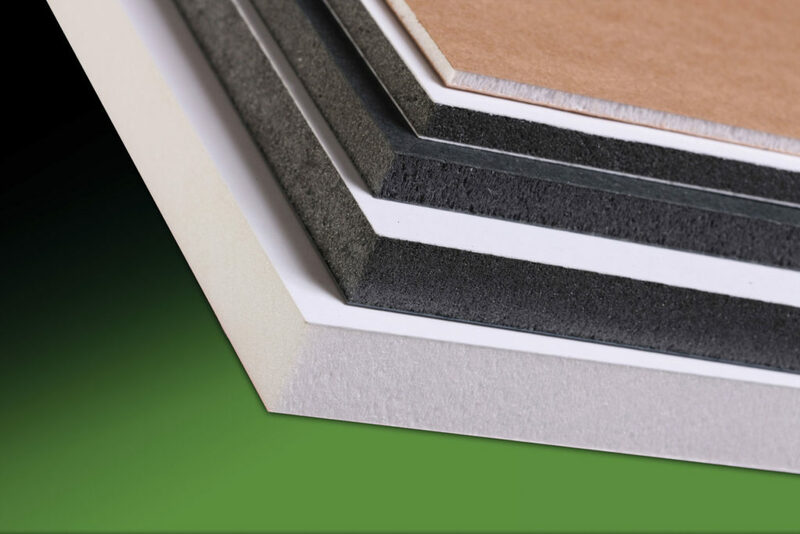 Gatorfoam was introduced as the original heavy-duty foam board more than 30 years ago and remains the industry’s leading heavy-duty foam board. Gatorfoam is available in several combinations of white and black facers and white or black foam as well as natural facers with white foam. Gatorfoam featuring new Bright White facers is the brightest board of its kind, producing vibrant colors in both digital-printing and screen-printing applications. 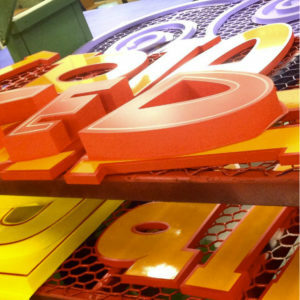 Gatorfoam is an ideal substrate for creating both interior and exterior signage, point-of-purchase displays, exhibits and kiosks. Gatorfoam Exterior is specifically engineered to address the extreme conditions found outdoors, including heat, cold and humidity. Gatorfoam Exterior is manufactured with a specially formulated adhesive that improves bond strength and moisture resistance, reducing the possibility of delamination in exterior signage and displays. When installed outdoors, it is recommended that Gatorfoam edges be painted to protect the foam from UV exposure. 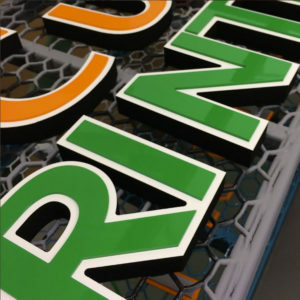 Lightweight water-resistant Gatorplast is perfect for creating indoor signage, point-of-purchase displays, exhibits and kiosks. Gatorplast is available with white facers/white foam and black facers/black foam. project images courtesy of Howmac Dimensional Graphics Inc.